Plan-do-review sequence — (planning time, work time, recall time). This three-part sequence is unique to the HighScope Curriculum. 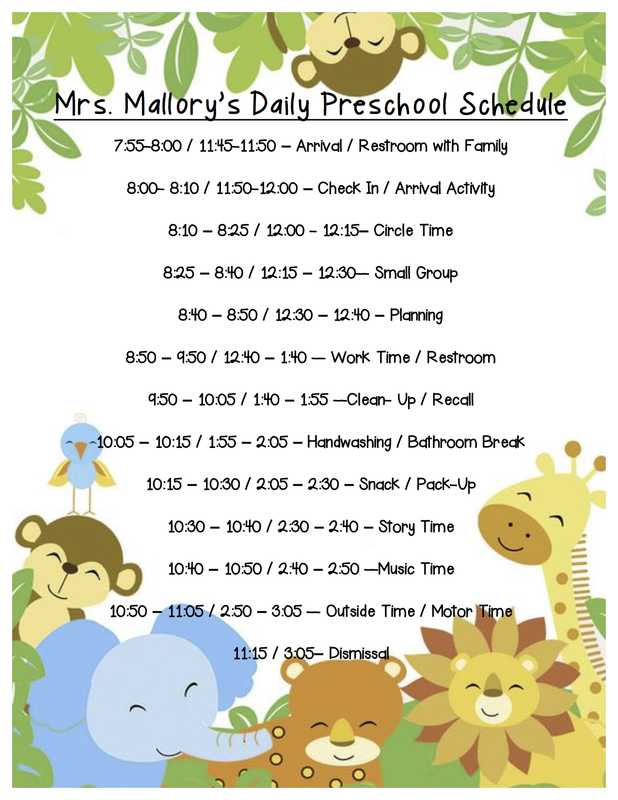 It includes a 10- to 15-minute period during which children plan what they want to do during work time (the area to visit, materials to use, and friends to play with); a 45- to 60-minute work time for children to carry out their plans (or shift to new activities that interest them); and another 10- to 15-minute period for reviewing and recalling with an adult and other children what they've done and learned. Small-group time — During this time, a small group of children meet with an adult to experiment with materials, try out new skills, and solve problems. We develop a small-group activities based on children's interests and particular skills, materials, or content areas that suit children's developmental learning needs. Though the adults plan the activity and sets it in motion, children make choices about how to use the materials and freely communicate their ideas. Large-group time (circle time, story, music)— Large-group time builds a sense of community. The entire class comes together for movement and music activities, interactive storytelling, and other shared experiences. Children have many opportunities to make choices and play the role of leader. Transition times — Transitions are the minutes between other blocks of the day, as well as arrival and departure times. Teachers plan meaningful learning experiences for these times, which keeps children engaged and minimizes disruption. Snack time — Snacks allow children to enjoy eating healthy food in a supportive social setting. Since mealtimes happen at home as well as at school, we try to respect family customs at these times as much as possible.